Beautiful handmade timber Roundhouse overlooking the Lake District's stunning Whicham Valley. 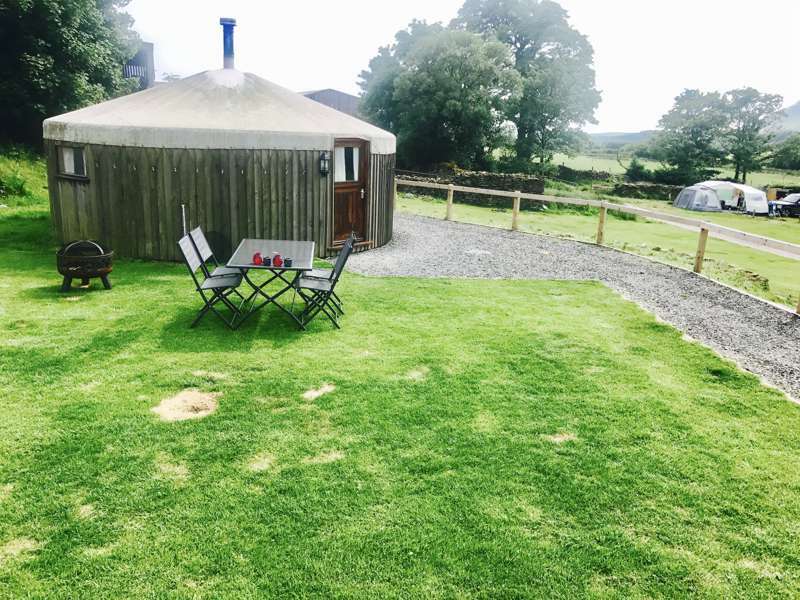 Our personally made beautiful roundhouse (NB new roof November 2016) is set in an idyllic location in the south west corner of the Lake District National Park on a working farm. The combination of soft wood and circular shape creates a very relaxing place - with the wood burning stove and dimmed lights it can be both practical (it has full electric and water) and very romantic. It has a lovely big bed for two, but can accommodate up to 4 - 5 people. The kitchen is fully kitted out with an induction hob, toaster, kettle microwave and fridge and sink with hot water. The showers and toilets are outside the Roundhouse only 20m away and immaculately clean. Enjoy! The Roundhouse is situated on our campsite on a raised terrace with easy access to toilets and showers as well as washing facilities with hot water in addition to that in the roundhouse. It is on a working farm with cows sheep and horses so for health and safety reasons it's not possible to access other areas of the farm but there are some lovely walks directly from the site up onto Black and White Combe. Our nearest beach is only 3 miles away (5 minute drive) with glorious miles of largely unoccupied sand. We are currently developing some areas of the site but would hope that this is not creating any inconvenience to our visitors.